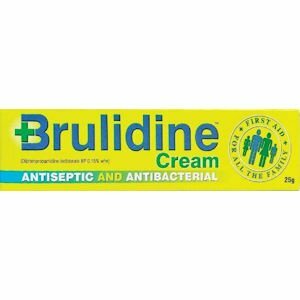 Brulidine cream is a well-known and respected brand, with a long history of use for many skin complaints. It is not only an antiseptic cream, but also an antibacterial cream with a wide variety of uses, beyond those normally associated with an antiseptic cream. 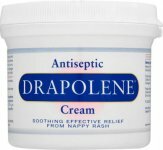 It helps heal cuts, grazes, wounds, other minor skin infections, burns, scalds, nappy rash, inflammation of the skin etc and it also works in the presence of pus and blood. 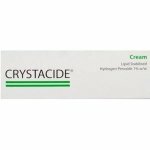 Clean the area of skin and apply Brulidine cream 2 - 3 times daily. 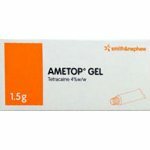 Discontinue if skin sensitivity occurs. If pregnant, seek medical advice before use.